The video's brevity doesn’t make it easier to watch. A 17-year-old boy walks along a Chicago street when several police cruisers pull up alongside him. He steps away and, seconds later, a single officer fires multiple rounds — 16, we learn later — leaving the boy dead. No officers appear to come to the victim’s aid. ...we fool ourselves if we imagine that by creating a video record, people are more likely to agree about what happened and how to respond. From South Carolina to Chicago, deeply disturbing video clips are fast becoming Exhibit A in debates over racial injustice and mistreatment. They add legitimacy to voices and stories that have too often been dismissed or ignored by our legal institutions — black voices, black stories. Such videos contribute to the debates about the state of race relations in our country. They encourage accountability and can help advance justice. But the videos do little to address the root causes of the racial tensions underlying our society. It is easy and tempting to believe that seeing what happened will reveal the truth, and that, from there, conflict, resistance and dissension will be resolved. But we fool ourselves if we imagine that by creating a video record, people are more likely to agree about what happened and how to respond. Like all modes of storytelling, video is susceptible to our own partisan perceptions. Videos are subject to our own biases and assumptions, no matter how clear-cut what they portray might seem. It is almost unavoidable to watch a video of a white police officer shooting a black youth but through the lens of our own experiences and backgrounds. 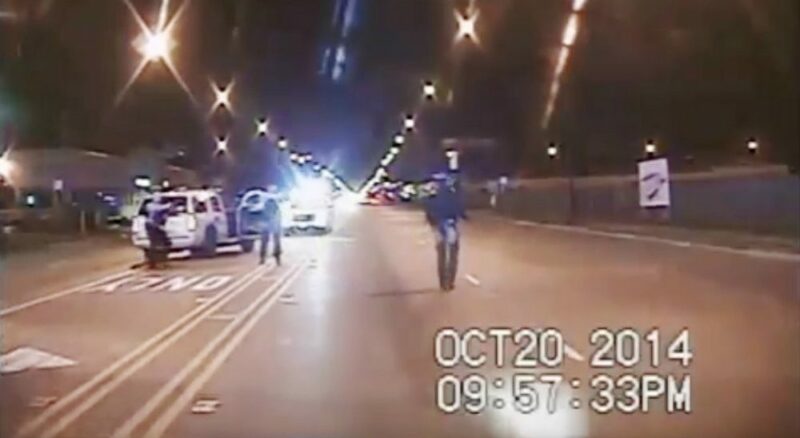 Rather than encouraging viewers to coalesce around a shared view or opinion, then, police shooting videos often provide more fodder for disagreement. One need only look at the comments section of any posted video to see that clarity, agreement and consensus do not emerge from the viewing. The notion that dash-cam, body cam and cellphone videos can persuade people to agree on what they are seeing presumes, incorrectly, that the root of racial and ethnic conflict is about facts on the ground and not something far deeper and harder to get at. In addition to new technology that can capture a terrible moment and show us what we would otherwise never get to see, we need old approaches to understanding, as well. The increased use of video in matters of police/civilian violence is a positive trend — to a point. Relying on videos alone, however, won't quell racial tensions. For that, we need perspective, compassion and curiosity about the lives of others. We need a sincere openness to the possibility that others’ views and interpretations are as valid as our own. So in addition to new technology that can capture a terrible moment and show us what we would otherwise never get to see, we need old approaches to understanding, as well. Better listening and better conversation; a shared acceptance that the truth may dwell somewhere in a gray area; and a shared determination to live together in a society that confers dignity upon all. By all means, let us use video as a way to give voice and advance justice. But then, our task is to find ways to acknowledge each other’s stories, experiences and differences. Only then can the real work begin. This piece was co-authored by Sara E. del Nido Budish, a clinical fellow at Harvard Law School in the Harvard Negotiation & Mediation Clinical Program. Could Cincinnati Be A Model For Police Reform Nationwide?